When you walk into אמנות (Art), you have entered an oasis in the middle of camp. The atmosphere is calming and non competitive, there is music playing, and we invite and the campers are encouraged to be creative in what ever medium they choose. We often hear ” I can’t do this” and we work to help each child have a positive and creative experience, and feel good about themselves. Everyone has an imagination and an artist in them, we work to unlock it. During morning פעולות, the חניכים have the opportunity to sign up for אמנות and work in depth i n a particular medium. This past month we offered woodworking, ceramics, jewelry, weaving, bead weaving, sewing, fabric design,watercolors, sketching and acrylic painting. 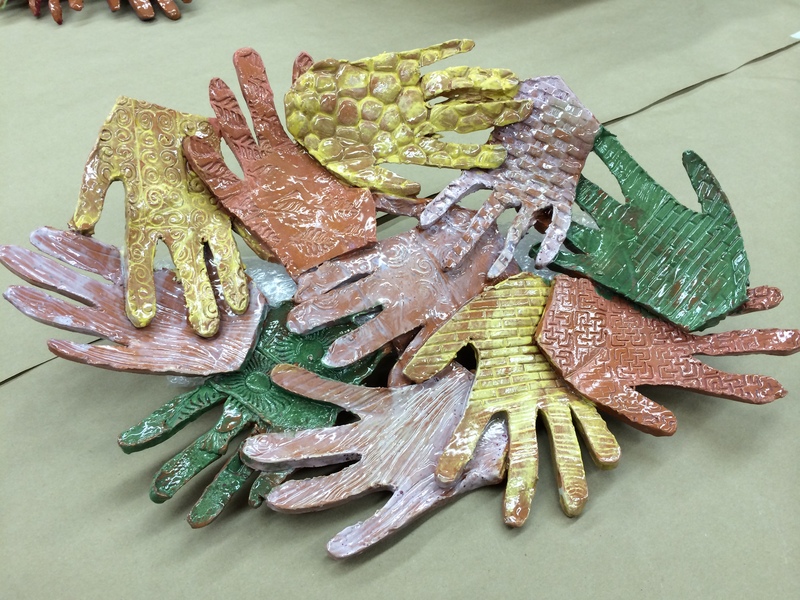 Each teacher works with a small group of children to give individualized attention. They are not just learning how to make a project, but learning skills that can be used again. In all areas, the חניכים are taught how to design and use the tools needed to complete their design. As you can see in our gallery of p hotos, the חניכים are learning how to use the electric saw, drill, sanders, wood stain,and a variety of tools,using all safety protocols. 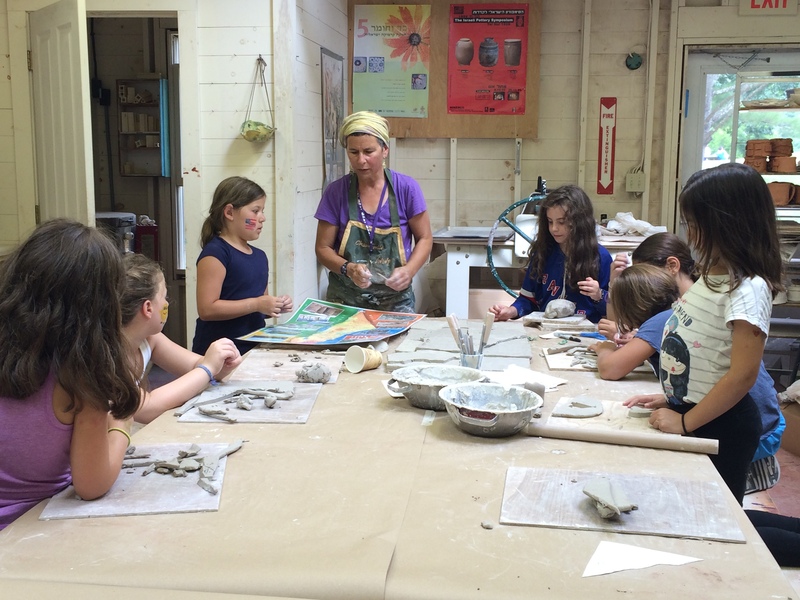 In the ceramic studio, children experienced using the pottery wheel and hand building techniques and created amazing large coiled pots, boxes, mugs and sculptures. The חניכים learned to use fine silver clay and design and make their own pieces of jewelry. A group of children learned how to weave on a loom from start to finish, setting up warp thread, executing their own designs, and removing the finished product from the frame. Another group was working on very intricate bead weaving, while others were learning about watercolors and acrylic painting using various techniques. 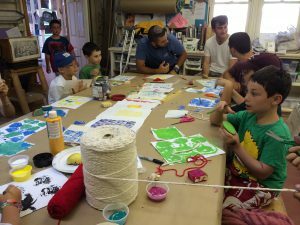 A group of our youngest campers worked on designing and sewing their own “ugli dolls” as well as tie dying fabric to be used for pillows, bags and button/bulletin boards. 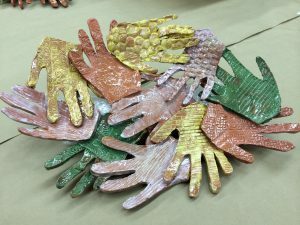 To see our gallery of our beautiful art work, click here. We look forward to another full month of creativity!